The focus of these sessions is "fun and engaging hockey". Book one, two or all three days. This camp usually fills up with 8-12 year olds, but younger players who are keen are very welcome, too. Players are split into small groups of like age/ability to maximise the learning. £50 per day (sibling/multi-day discount: £45 per sessions per player booking more than one session or sibling). 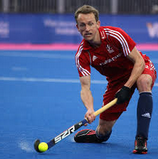 All sessions are under the direction of GHC Director of Junior Coaching Dan Fox who is also Director of Hockey at Charterhouse and coaches in the England Hockey Player Pathway. Goalkeepers of all ages are very welcome in all sessions (£15 for outdoor). GHC Members please click here - please note you may need to verify some details in your LoveAdmin (PSO) record and you will need to click on 'Payment' tab to see the camp options. Please click here to create a record in LoveAdmin, choose your camp options and pay.